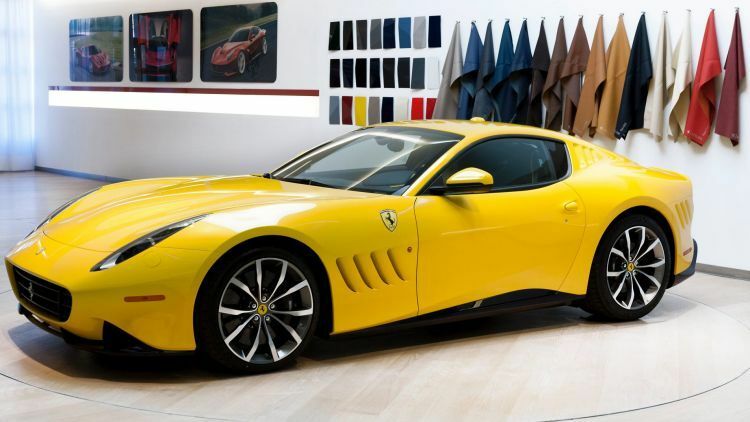 Ferrari SP 275 Competizione Revealed. Here’s What A 1,750-HP Twin Turbo V8 Engine Of The SSC Tuatara Sounds Like! Missed Your Opportunity On The Jesko? Well, You Can Still Buy A Build Slot For The 1,500 Hp Koeinsgegg Regera Just Under $3M. Ordering A Rolls Royce Is More Like Building Your Custom Mansion Because Of The Endless Catalog of Designs and Options Offered By Rolls Royce. Here’s The Untold Story Of “Koeingsegg” And How Was It Able To Become A “Hypercar-Killer”. 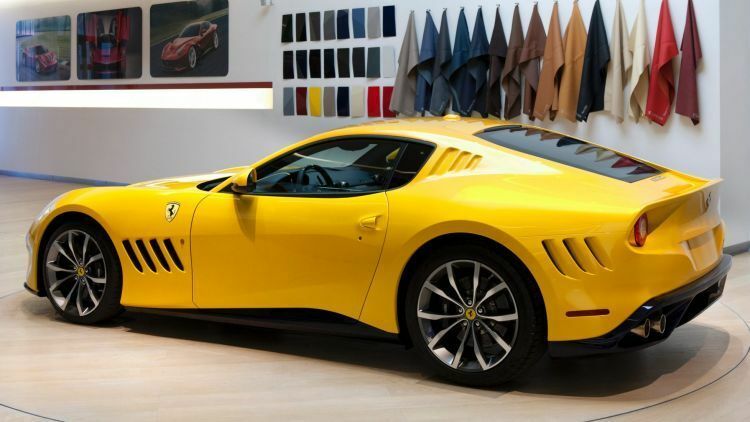 Ferrari Was Successfully Able To Increase Its Sales And Profits By More Than 14.1% Last Summer. The Apollo Intensa Emozione Is The Most Brutal Sounding V12 Hypercar Ever Made! Koeingsegg Will Not Be Going Fully Electric At Least For The Next 5 Years According To Christian Von Koeingsegg. Meet The One-off Ferrari P80/C Inspired By The Iconic Ferrari’s Of The 1960’s Such As The 330 P3/P4, Dino 206 S, and 250 LM! Meet The Bugatti “La Voiture Noire” A One-off $19M Masterpiece Which Serves As A Tribute To The Iconic Type 57 SC Atlantic! The “All New” Terzo Millennio Code Named “LB48H” 840 HP Hybrid Lamborghini Might Have Its Grand Revealing In 2019. 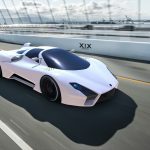 According To Christian Von Koeingsegg A “Budget-Friendly” Koeingsegg Hybrid Supercar Is Coming Soon With A Estimated Price Tag Of $1.13M. John Heinricy Will Be The Chief Designer Of The Hennessey Venom F5! Witness The Mercedes-AMG GTR PRO Create History At The Nürburgring Nordschleife By Clocking A Lap Time Of 7:04.632! Mclaren Unveils The “Speedtail” As A Successor To The Iconic Mclaren F1 With 1,000 HP And A Shattering Top Speed Of 250 MPH! Alfa Romeo Giulia QV 2017-2019. 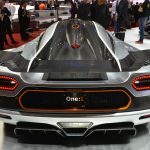 Apollo Arrow 2016-2017: The 1000-hp Race Machine That Rose from Gumpert’s Ashes. Aston Martin DBS Superleggera 2019-2225. Aston Martin Vanquish Zagato 2016-2022. Audi Q8 Concept Unveiled At Detroit: Four Seats And Bentayga Aspirations. The Long Awaited Bugatti “Divo” Revealed At Pebble Beach With 1,450 HP Nicknamed “The Master Of Corners”! Bugatti Bows Out The Veyron With ‘La Finale,’ The Last Model It Will Ever Built. BMW Reveals The 5 Series 2017 As A Rival To The New Mercdes E Class 2017. Bentley Continental Supersport 4-Seater Is Surely a Agressive Machine As It Beats The Legendary Buggatti Veyron 16.4. Bentley Bentayga Set To Spawn A Range Of New Ultra-Luxurious SUVs. Chevrolet Unleashes 650 Hp Camaro ZL1 1LE The Mclaren,Mercedes-Benz killer On Track. The Chevorlet Corvette Zo6 2015-2016. Chrysler 300c SRT8 Hellcat 2014-2016. The Dodge Viper Acr 2016. The Ferrari Laferrari Aperta Will Be Releasing In 2017-2018. The Ultra Rare Ferrari F12 TRS 2014-2016. 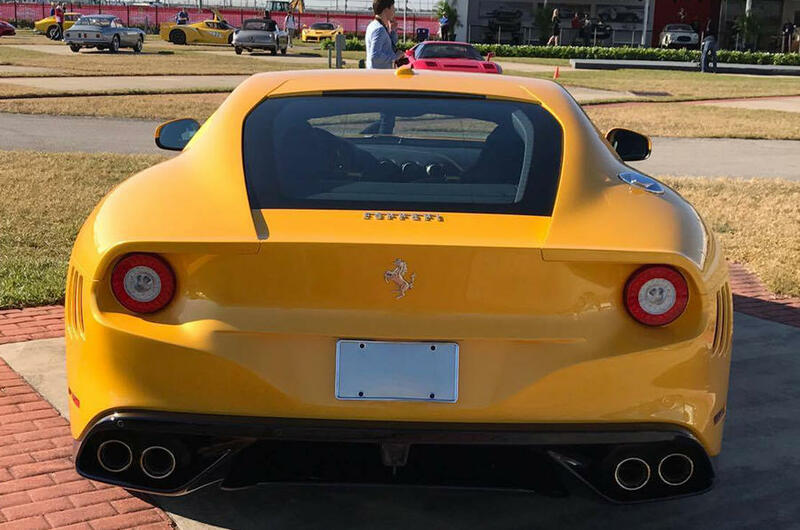 The Ferrari Berlinetta Tdf 2017-2018. Ford Shelby GT350 Mustang 2019-2022. Geneva Motor Show 2016: The Ford Gt 2016-2017 Revealed. These Are The Things Most People Don’t Know About The Hennessey Venom GT. Introducing The New 770 HP Lamborghini Aventador SVJ “The Most Powerful Aventador Ever Made”. Lamborghini Huracan Performante Unveiled With 640 HP. The Lamborghini Urus Will Debut In 2017: Here’s What You Need To Know. This Is The New Lamborghini Aventador S Loaded With 730 HP. The Lamborghini Centenario Roadster 2017-2019. The Lamborghini Aventador SuperVeloce Roadster 2015-2016. Lamborghini Huracan Lp-610 Spyder 2015-2017. Lexus New LS 500h Flagship Hybrid Sedan Arrives With 345 Hp. The McLaren 720S Is A Car Out Of This World. The Mclaren 675 Lt 2015-2017. The Mclaren P1 Gtr 2015-2016. The Mclaren 650s Spider 2014-2016. Mercedes SLR Stirling Moss Edition 2009-2012. The 2018 Face Lifted Maybach Mercedes-Benz S-Class. Mercedes E-Class Cabriolet With All Wheel Drive. Mercedes Electric SUV Concept Is Taking Direct Aim At Tesla. Mercedes-Benz E-Class Coupe Edition 1 Limited To 555 Models. The 2016 S63 AMG Is Mercedes-Benz’s Ultimate Sedan. The New Ultra Luxury Mercedes Vision Maybach 6 2017-2020. Mercedes:The 2018 AMG-GT3 Is Coming Soon. Mercedes CLS 63 AMG 2014-2016. Nissan: The New GT-R Track Edition Is One Godzilla Americans Will Be “Ok”. The 720-HP Porsche 911 Turbo Cabrio Is One of The Most Brutal Convertible’s Ever Made. Porsche Reveals The Panemera Sport Turismo. Porsche Cayenne S-E Hybrid (Turbo) 2017-2020. Geneva Motor Show 2016: Porsche Reveals The Limited 911 GTR 2017. The Porsche Panamera Is The perfect 550 Hp Sedan. Pagani: The Riveria Finally Revealed! Pagani Huayra Roadster 2017-2019 Revealed With 764 Hp. The Pagani Huayra Bc 2016-2019. 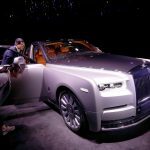 The All New Rolls-Royce Phantom VIII 2018-2021. Saleen S7 Twin Turbo 2005-2009. SSC Ultimate Aero XT 2013-2015. Tesla Model S P100D 2017-2020. The Lykan Hyper Sport 2013-2015. 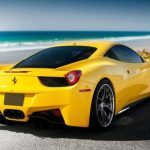 Top 10 Ferrari Models Only The Richest Can Afford. 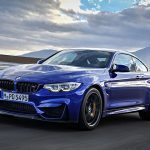 The Top 5 Luxurious Sedan’s Of 2018-2019! 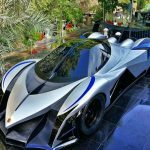 Top 20 Most Fastest Cars In The World 2016-2018. Top 10 Hyper Cars You Might Have Not Heard About. The Top 10 HyperCars Which Faraday Future FF 91 Claims to be Quicker Than. The Top 5 Most Innovative Concepts Revealed 2017-2018! 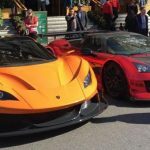 The Mega List Of The Most Expensive Hyper+Luxurious Cars 2004-2017. Top 5 2016+ Exotic Cars You Can’t Miss. The All-New 2020 Shelby GT500 Is The Most Powerful Mustang Ever Made With 700 HP And A Quarter-Mile Time Of 10.55 Seconds! The Mercedes-AMG Project One Will Be Revealed In September. Cheif Designer Porsche Talks About Mission E Concept. Sema: The Mashup Of The Ford Gt And The Mustang Gt Is Going To Be A Hot Topic. Sema: All-wheel-drive Dodge Challenger GT shows up on EPA website. Bugatti: The Chiron Gets A Sport Variant Costing $3.2M! Ferrari Is Ready To Pay Attention To The California T.
Here’s The Rolls-Royce Ghost Made By Sacrificing 1,000 Diamonds. The Bentayga Mulliner Proves Itself At Geneva As The Leader Of All SUV’s. Audi Enter’s Geneva With it’s Master Piece Q8 To Rival The Bentley Bentayga. Koeingsegg Succeeded In Conquering Geneva Motor Show 2017. Ferrari 812 Superfast Arrives At Geneva. Spyker C8 Preliator Spyder Introduced At Geneva. Zenvo Brings One-Off TS1 GT To Geneva Motor Show 2017. The 1,287-HP Techrules Ren From China At Geneva. The Mclaren 570s Spider Is Coming Soon. Qiantu K50 Is Another Gorgeous Car By Chinese Engineers. This Nissan GT-R Cop Car Is A Nightmare For All The Street Racers! 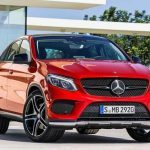 The Mercedes-AMG GLC63 Unveiled With 500 Hp. Mercedes-Benz AMG’s New Look Is Here! The 900+ Hp Dodge Demon 2018 Is Coming Soon! The Outrageous Spyker D8 Will Be Arriving In Paris Soon. Volvo Shows Up With It’s XC60 SUV. The 2020 Porsche 911 Is A Classic Tribute To The Flat-Six Iconic 911 With Some Minute Changes. Mercedes-Benz Arrives At Paris Motor Show 2018 With The 2020 “EQC” Concept. Renault Reveals Its Autonomous Car Concept “EZ-Ultimo” Under The Limelight Of The Paris Motor Show 2018! 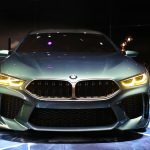 The Long Awaited 2019 BMW 8 Series From Le Mans Finally Arrives At Paris Motor Show 2018! Bugatti Reveals A Limited Edition Bugatti Chiron Sport To Celebrate 110 Years Of Excellence & Perfection! The Lamborghini Urus Has Some Major Technical Coding Issues Specially With The Infotainment System Where Even “Lamborghini” Isn’t Spelled Correctly. Bugatti Tests Its New Titanium Brake Calipers Made By “3D Printing” Capable Of Providing Immense Stopping Power! The Hennessey Tuned 1,200 HP Dodge Demon Can Hit A Zero To 60 MPH In Less Than A Staggering 2.2 Seconds! This is the thing that several million dollars, some rose-tinted glasses and an enthusiasm for Ferrari can purchase; the most recent erratic retro creation from the celebrated internationally Italian auto maker.Ferrari has uncovered points of interest of the SP 275 RW Competizione after it broke cover at a worldwide proprietor’s occasion, the Ferrari Mondiale Finale, at Daytona Beach in Florida a month ago. 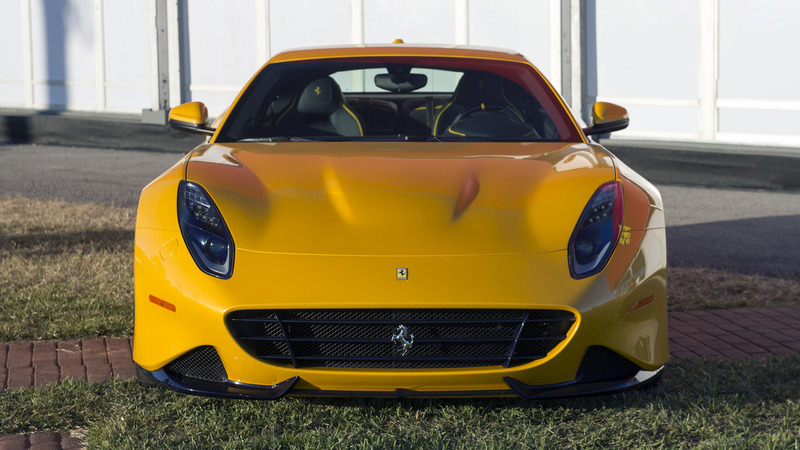 The bespoke machine, which is set out toward a private accumulation of an anonymous Ferrari client, depends on the restricted version F12tdf but then rethought with bodywork that has been propelled by the famous 1964 275 GTB.The overhauled front-end highlights a smoother carbon fiber cap without the F12’s ‘air extension’ and side bumpers that have four shark gills. The back likewise highlights comparative louvers behind the augmented wheel curves while the back side window has been abbreviated to incorporate another arrangement of (fake) vents. There’s likewise a lip raise spoiler, a processed aluminum fuel filler top and full-width diffuser.The yellow paint plan is said to originate from the Ecurie Francorchamps group whose Ferrari 275 GTB won the GT class in the 1965 Le Mans 24-Hour race (and completed a noteworthy third by and large behind the triumphant Ferrari 250 LM). 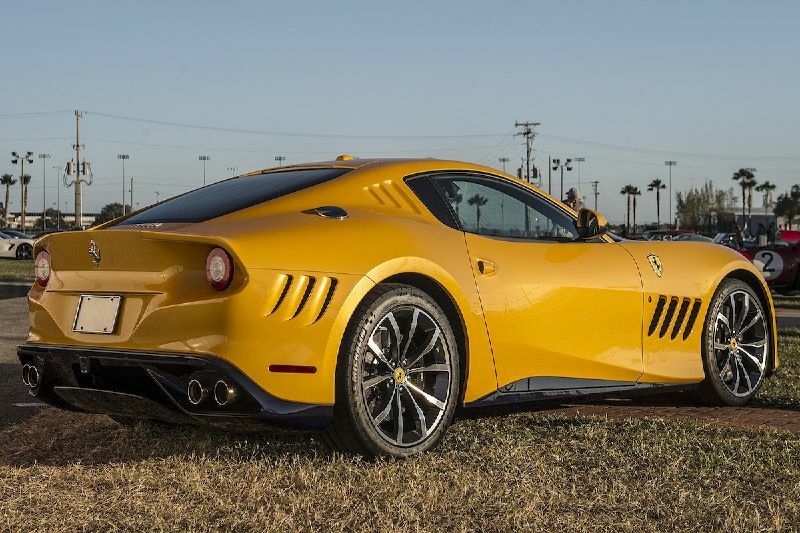 And keeping in mind that the first 275 GTB ran wire wheels, this new elucidation scores one-off 20-inch combinations with five twofold spokes.Power originates from the uprated rendition of 6.3-liter V12 from the restricted release F12tdf, conveying 574kW/705Nm. This motor is special with changes that incorporate motorsport-sourced mechanical tappets and variable geometry admission trumpets as utilized by the Scuderia Ferrari F1 group. 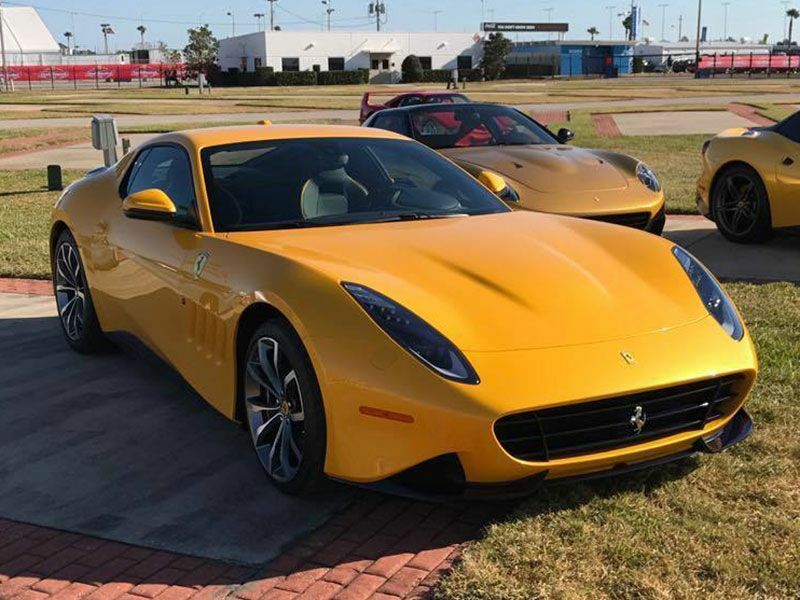 Additionally from the F12tdf is the uprated double grasp transmission with 30 for every penny speedier upshifts and 40 for every penny quicker downshifts and a four-wheel directing system.Ferrari did not issue any inside photographs or uncover the correct cost paid by the well off proprietor. The car is the most recent from Ferrari’s Special Projects division, which has manufactured comparable retro-motivated entertainments for rich proprietors including guitarist Eric Clapton. Note: All images belong to their respected owners. 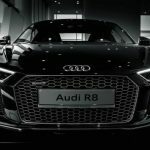 ⟵Audi Teases Q8 Concept Ahead Of 2017 Detroit Auto Show. 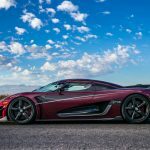 Koeingsegg Agera RS Sets The World Top Speed Record. Here’s Why You Should Consider Buying A 2010 Nissan GTR-35 In 2018. 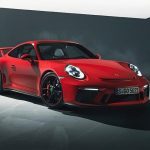 Porsche 911 GT3 Is Now Available In Manual Transmission. 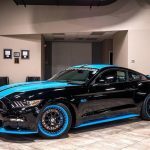 This Limited Edition Ford Mustang Costs Over $70,000! 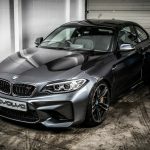 BMW Will Be Introducing M2 CS & CSL Limited Edition Models That Will Be Sold Only In America. Dealership launching on 21st July 2019. 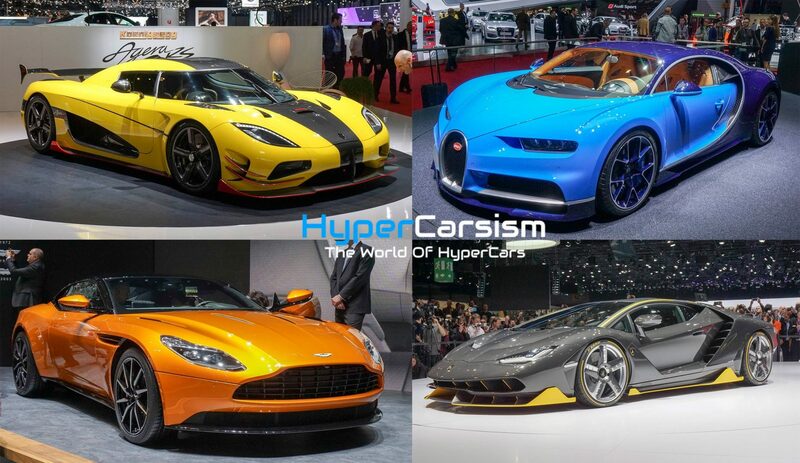 Enter your email address to subscribe to HyperCarsism and receive notifications of our Latest Blogs via email. © Copyright 2016-2019 HyperCarsism | The World of HyperCars.